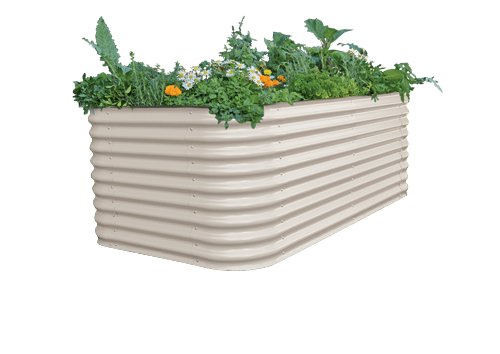 Grow your own vegetables with Birdies Raised Garden Bed Products. | Birdies Garden ProductsBirdies Garden Products | Raised garden beds and garden products. Check out our new Select-A-Size range. *SPECIAL - Order 4 x 2500mm long beds and get 1 for free! Applies to both heights! Growing Vegetables is easy with Birdies Garden Products! Raised Garden Beds and Garden Shed with a wide range of shapes, sizes, materials and colours! Huge variety of colours available! Our designer range quick slide corners allow you to assemble a garden bed in minutes. Our timber beds are made from Australian grown white cypress heartwood and plantation pine. Rolled steel edge with clip on safety strip! Birdies Products are perfect for growing a variety of plants weather that be growing veggies in the backyard or for a rooftop garden in a city.